The Samsung brand has touched the world with its superior electronics, heavy industries, life insurance and so much more. People reverence the respected chaebol and turn to it for many of their needs, including healthcare. Samsung Medical Center, which aims to be one of the global leaders in healthcare, services patients from Korea, America, Russia, China, Japan, UAE and Kazakhstan just to name a few. 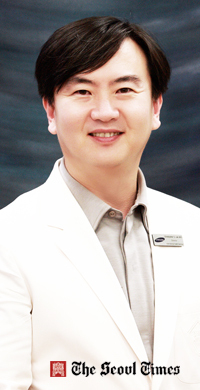 Recently, I had the chance to interview the Director of IHS, Cardiology Dr. Lee Sang-Chol. The topics of the discussion ranged from the definition of Medical Tourism at Samsung Medical Center to the types of procedures performed there and their rate of success. Q1: What does Medical Tourism mean to the Samsung Medical Center? A1: A very difficult question. First of all, we prefer the term "Global Healthcare" or "International Healthcare" in place of "Medical Tourism," as the needs of patients worldwide is our main interest and the term 'Tourism' has the nuisance of vacation travel associated with medical care. Having said this, Global Healthcare is a very highly valued medical service in Samsung Medical Center, as Korea (especially Seoul) has become an international city that receives numerous foreign visitors and we are aware that we have to be ready for any patient of any nationality or ethnicity that visits our institute. Furthermore, we dare boast that our quality of clinical practice and its outcome to be among one of the best in the world, because of this, we are capable of helping many international patients who have the means to travel abroad but their regional healthcare quality does not meet their expectations in various ways (surprisingly, the number of these types of patients is substantially high). Also, as Samsung Medical Center is striving to be a global and world-renown healthcare institute that lives up to the name of Samsung, which is already a world-class brand name, we at our institute are heading for higher medical and non-medical service qualities that fit everyone's needs across the world so that we can truly become one of the global leaders in healthcare in the near future. For this reason, learning the needs and culture of international patients is a very important part of our current and future practice as well. Q2: Citizens from which countries visit your medical center each year? A2: The patients come from various countries. American citizens make up the largest number at our institute, but most of them are residents in Korea. the fly-in patients consist of patients from Russia (the largest number), Mongolia, Kazakhstan, China, Japan, UAE, and Vietnam, and so forth. The number of Russian and Mongolian patients have grown excessively, and Chinese and Japanese patients are increasing since we started to offer Chinese and Japanese translation / interpretation service this year. Q3: Approximately how many people from the USA admit themselves for treatment? A3: At this time, the number of American patients( that are not Korean residents) consist of a very small number only. Most of the the American citizens we see are residents such as military personnel and their families, business associates living in Korea, and English teachers or teachers at the International schools.The number of Korean-Americans living in the US visiting us is increasing, though, as they visit our hospital during their stay in Korea. Q4: What types of procedures do they seek? A4: The needs of international patients vary greatly, and is not much different from that of the local patients except for acute or critical problems. Treatment for cancers such as liver, lung, stomach and breast cancer (surgery, chemotherapy and also radiotherapy), endoscpic surgery for stones, surgery for hemorrhoid or hernia, cataract surgery, nasal septoplasty, surgery for spinal disc herniation, meniscectomy, and difficult plastic surgeries such as reduction mammoplasty are a few of the most often performed procedures that are needed for these patients. Q5: For Medical Tourism patients' procedures, what is your rate of success? A5: As far as we know, the rate of success for procedures performed on international patients is not different from the rate for our domestic patients. As you may already know, the outcome of our institute is very good even when compared to the US, and most of our procedures are successful. Q6: Do you think the popularity of South Korean entertainment around the world has brought more international patients to Samsung Medical Center? A6: It is true that the popularity of Korean entertainment did have some effect on the increase of foreign patients visiting Korea, and we do agree it partly had some effect on our international patients. However, considering the fact that the buzz on South Korean entertainment mainly touched the younger generations, we think this popularity affected mostly subjects who are interested in plastic surgery and dermatological procedures. As the majority of our international patients consist of more serious medical problems, we do not think that the entertainment business affected our center as much as the local clinics. Q7: What are your thoughts regarding the treatment of foreigners? Where do you think your medical center ranks in South Korea and on the global scale? A7: As stated above, international and global healthcare is part of world globalization. As we possess and maintain a high-quality clinical service, and as Korea has already become a highly international nation, we feel that treating international patients is not an option but an obligation as a leading hospital. And as we thrive to be one of the world's best in clinical practice, treating international patients and maintaining global standards is a must especially for our institute. Our institute is considered to be one of the best hospitals in South Korea in terms of medical and also non-medical service, and the outcome of our patients is excellent. On the global scale, although we may not be at the top in the field of research and development, we think that the clinical skills and service of our institute may be compared to world-class institutes in the US.